Cornwall is an extremely picturesque county, with rolling hills and beautiful coastal towns. There are so many places that I love to go to, when I visit Cornwall and Looe is one of those. 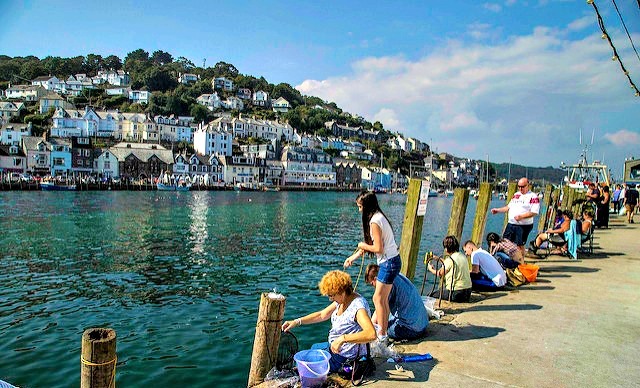 Looe is a beautiful little busy traditional fishing village that lies to the South East of the County. It is one of the prettiest villages in Cornwall with an abundance of things to do. 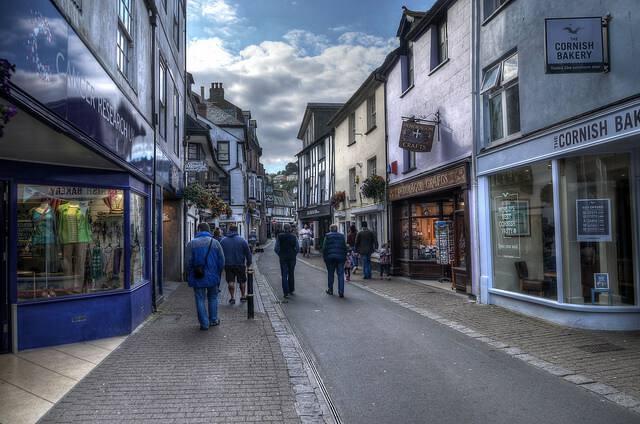 The narrow cobbled streets in Looe are home to some wonderful gift shops, perfect for holiday souvenirs. There are plenty of little shops to explore and you are likely to find something you like. A favourite of mine is the shell shop on the harbour. However, be careful when you go in and out of shops and walking down the street as car’s do drive down the narrow streets. There are several lovely places to eat, how busy they get is testament to how nice the food is. However, you can’t beat a tasty Cornish pasty. There is a lovely bakery on the main street. Warm and filling they are great for a lunch. You can sit on the sea front and watch the world go by. You will also see West Looe across the way. A stone bridge connects the two sides. Or you can catch a ferry across the water to West Looe which is mostly a residential area with lovely white washed cottages. East Looe has all the shops, yet it is still a nice little ferry ride across to the other side. Being a traditional fishing village you can see fishing boats often come into the harbour. Looe has its own fish market which opens most days, this gives you a great opportunity to purchase fresh fish to cook. It is great to see the vibrant fishing boats coming inland with their catch. Another fun thing to do is crabbing. The children will enjoy catching little crabs and other wonderful things. The best place is by the quay. There are plenty of places in Looe to buy nets and buckets. When ever I have visited Looe there are always people crabbing. Looe also has a lovely beach which gets very busy in the summer months. A lovely sandy beach where you can spend hours having fun. There is also the banjo pier, which acts as a sea wall and the breakwater protects boats from stormy weather. When the tide is out and the weather suitable you can walk out to the pier and the view you get from there is breathtakingly beautiful. There really is so much to do, you can also take a boat out to Looe island which is a marine nature reserve. The waters around it are teaming with life. The Island is a quiet haven for wildlife and many species. If you have the time it is definitely worth the trip. 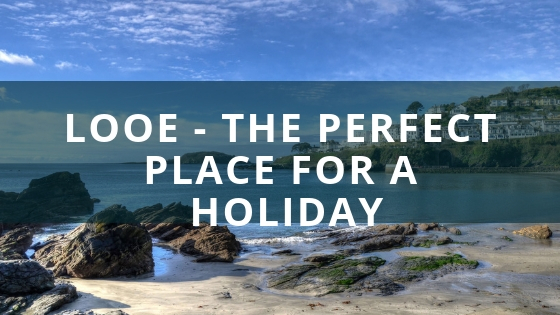 With so much to do you can easily spend a full day if not more in Looe. Looe is also host to a few great festivals throughout the year. One great one that is worth going to is Looe Live, a music festival. If you are looking to spend a holiday in Looe there is a lovely caravan park that is the closest one to Looe. Tencreek is a great park that also offers plenty to do after a day of exploring the local area. Or if you fancy relaxing, there is plenty to do on site including a heated swimming pool, adventure playground, clubhouse which hosts a variety of entertainment. The park has lovely sea views. You can also venture on a lovely walk on the coastal path. Tencreek has direct access to the coastal path which means you can walk to Talland bay and from there you can walk to either Looe or Polperro. These are lovely long walks so might not be suitable for little legs. So if you want to walk into Looe or Polperro. See miles of beaches, visit the Monkey Sanctuary and do so much more, then I totally recommend going on holiday to Looe.